There are two ways of looking at this from a Monaghan perspective. The positive slant is that they were very good at converting possession to shots , which they will need to be against Donegal, and they won a tight game whilst shooting poorly. There is room for improvement. On the other hand their Success Rate was poor and without McManus it was *very* poor (26% Success Rate with a weighting of -3.716). Cavan were a tad below average on all metrics but had quite a negative weighting given this. This is indicative of the fact that the majority of the scores they did get were in the ‘easier’ category . Pretty poor returns for both teams. McManus stood out (3 from 5 shots with a weighting of +1.170) for Monaghan as did Keating, though for opposite reasons, for Cavan. Towards the end of the game, whilst trailing by just the one point, Keating took two shots centrally from outside the 45m. 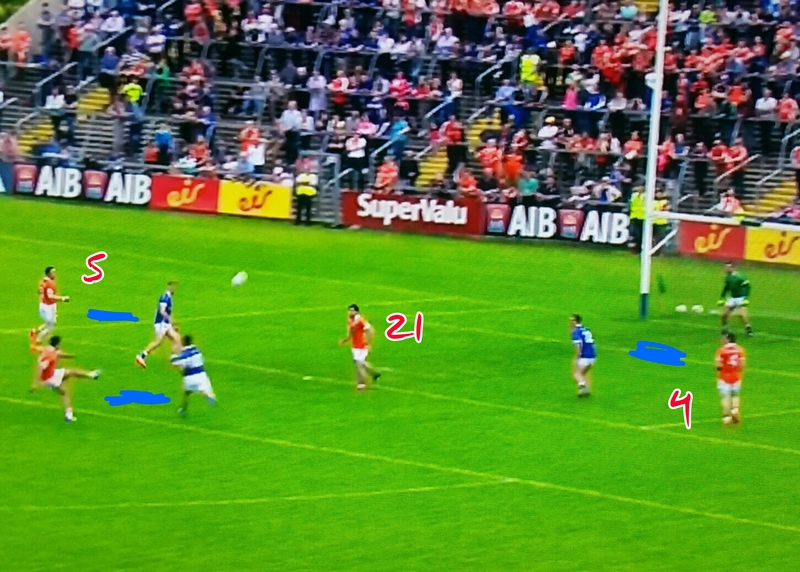 Keating has the skill set to do this as his returns against Donegal (here) last year showed however in this instance he may have been better served following Cavan’s pattern earlier in the game of recycling the ball looking for a better shot. Up until the 30th minute both defences had shown considerable discipline in the tackle, in their own half, allowing only two shots from frees. Things kind of went downhill for the remaining 40 minutes with a further 14 shots at goal emanating from frees. The volume was undoubtedly enhanced by both teams calling on their goalkeepers to take long-range attempts but neither team will want to replicate this again this season. Especially Monaghan against the deadly duo of Murphy & McFadden. Dunne’s returns are hit by the curse of the sideline again. Just to recap we do not have enough sideline attempts charted to give them a separate weighting therefore they are counted as being frees. 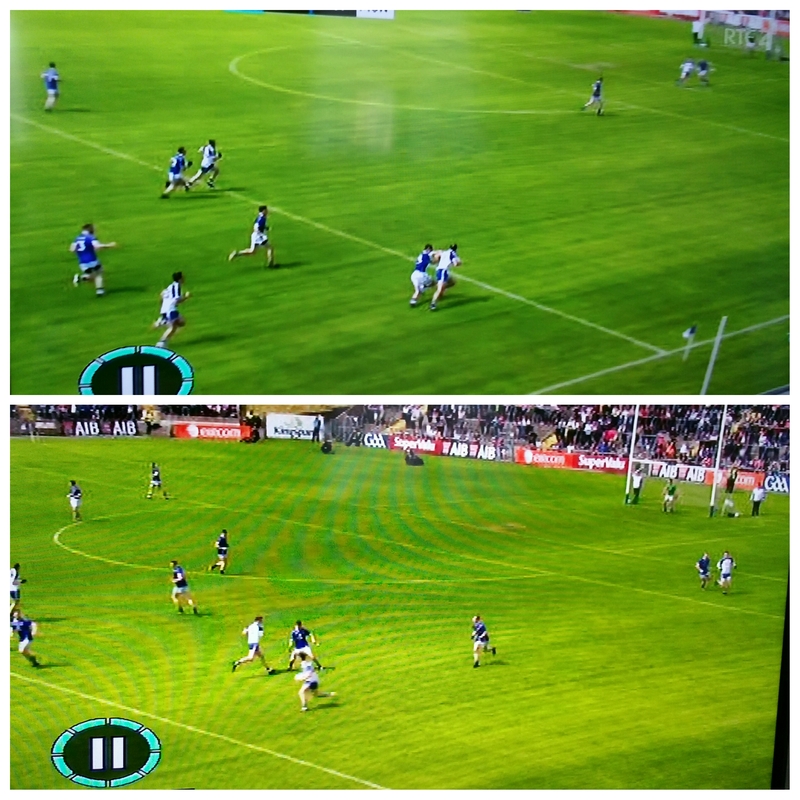 A bit harsh on Dunne to call his sideline a “missed free from inside the 21m” but that’s what it currently is. An “old fashioned” kickout battle as only 4 out of the 42 kickouts charted were kicked short. Perhaps the early goal that emanated from a short kickout gone awry had an impact on this. Cavan had the better of the kickout exchanges winning more and converting more of those wins to possessions. 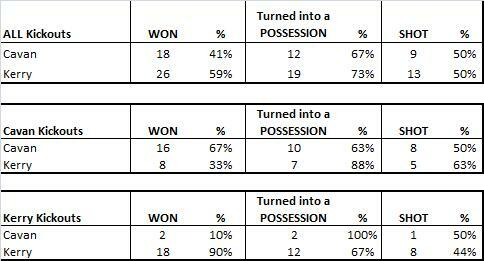 What was more remarkable was that 8 of their 13 points came directly from kickout possessions. They scored a point on a 3rd of kickouts won; conversely Monaghan only scored on 17% ( three from 18) of the possessions they won from kickouts. They did of course score their goal. So finally to some game data. Nothing earth shattering there. The game was average in terms of the number of possessions both sides had but Donegal were better at converting the possession to shots and were also better in terms of accuracy. If we were able to make adjustments based on the team you were facing then maybe Cavan’s bare stats would look better (in that Donegal are generally accepted as being one of the better defensive teams) but we have to attribute their below par shot rate & success rate to Donegal’s ability to harry & hassle them once they entered the 45m zone. The next two tables break the shots down by deadballs (45s, frees, penalties & sideline) & shots from play. We also introduce a new metric “Vs Expected”. This will be a blog entry on its own, expanding on how it is created, however essentially a return of 0.00 = exactly average or “as expected”. The more positive the return the better a team or player’s shooting was – the more negative the worse it was. We associate blanket defence, and honesty of effort, with Donegal but against Kildare last year they showed that they could take some booming scores. 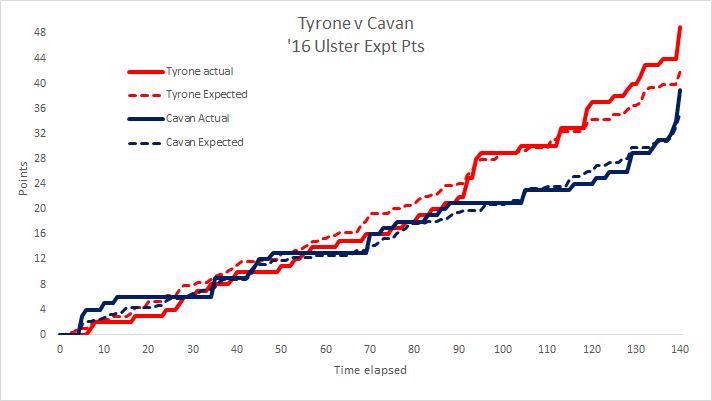 Similarly against Cavan their shooting from play was well above average. McFadden scored the penalty and the 5 frees he took a shot from but missed the two 45s he had – in tight games they will need those and his deadball performance was hindered by this. 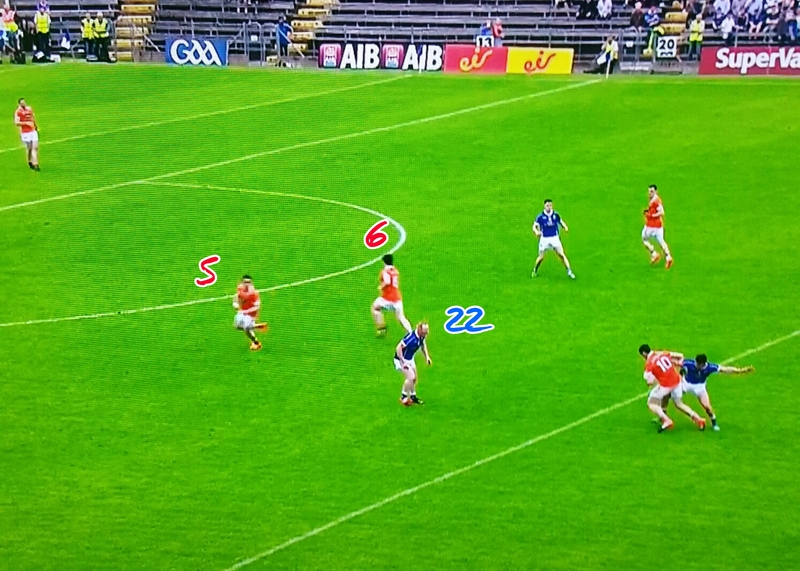 Cavan were essentially average (apart from Keating – see below) from play whilst their free taking was quite poor. Both McKiernan & Keating missed frees from inside the 45m. 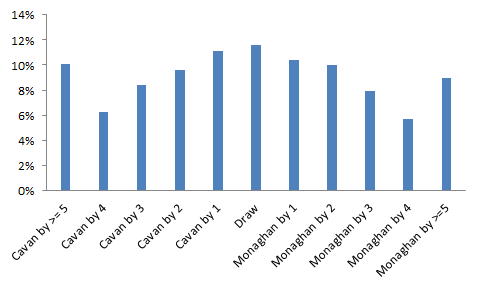 Donegal had 13 different players take a shot from play whilst Cavan had 9 – this means that Cavan had 4 players take 3 or more shots to Donegal’s 1. These players are represented below however seeing as Donegal march on we must take note of McHugh (Vs Expected +1.22) & McLoone (+1.02) who scored with both their shots. McBrearty (-0.71) missed with both his.